Based on a true story of a small dog found floating on an iceberg in 2010. The fast currents of the Vistula River in Poland carry the dog away, thwarting any rescue attempt. “Dog’s thick fur keeps him warm. But Dog is wet and tired and hungry. And he is scared. 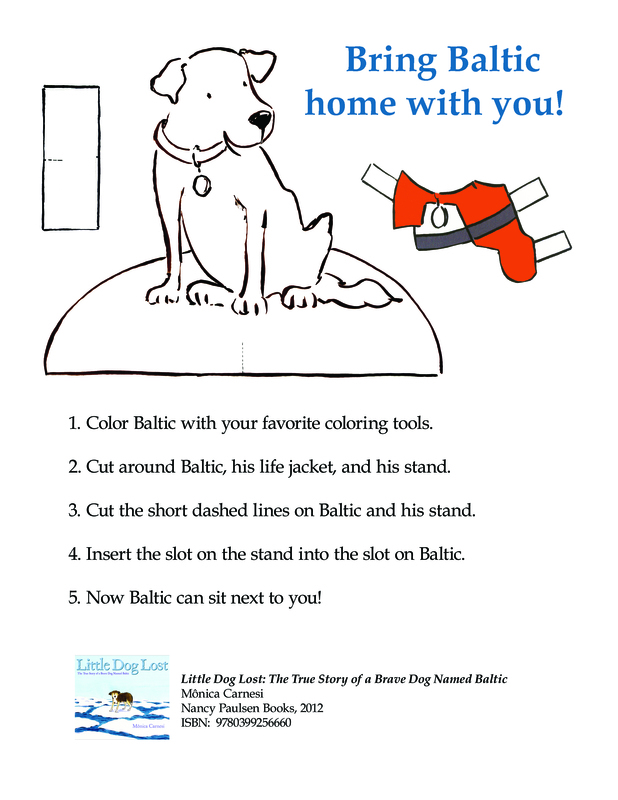 Don’t be scared, Dog!” It travels towards the Baltic Sea and the crew of a research vessel discover the dog. During a brave rescue, the dog falls in the water but eventually ends up on board the ship where he has lived ever since. Read the author’s notes for further details.